A new program from HP is equipping African health workers with cell phones so that information about outbreaks can be collected and analyzed as fast as possible. If officials in the developing world could track the development of a malaria outbreak in real time, they could quickly act to squelch the spread of the disease, monitor treatments, and make sure areas have adequate malaria nets. 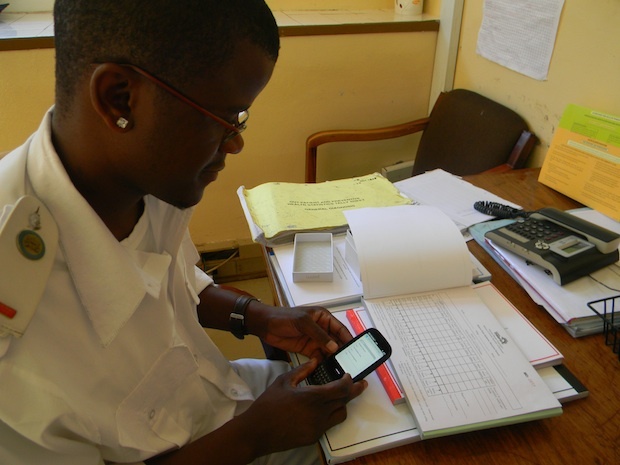 HP’s new partnership with Positive Innovation for the Next Generation (PING) will do just that, by equipping health-care workers in Botswana with HP Palm Pre 2 cell phones to gather malaria data via an app and upload the information to the cloud. Workers can also tag data with pictures, video, and audio. When it becomes clear that roving rural health-care workers have spotted enough individual malaria cases to signal an outbreak, Ministry of Health officials and other health workers in the area will be notified via text message. It’s a big upgrade from the current system, where reports filter in from health clinics “at a snail’s pace,” according to Paul Ellingstad, Director of Health Initiatives for HP’s Office of Social Innovation. With the new system, “within hours when you have the beginning of an outbreak, health officials are alerted,” he says. Botswana is a near-perfect test site for the program–it’s a stable democracy, and has a fairly stable economy with a cell phone penetration of 140% (meaning people have 1.4 cell phones on average). The program has been running in pilot mode for the past three months, and it will continue for the next nine. So far, it has been working well. “There is a lot of excitement and positive feedback from health-care workers,” says Katy Digovich, PING’s director of operations. Eventually, Digovich hopes that every health-care facility in the country will get at least one Palm Pre 2. Once the program expands, it may include reporting for other deadly diseases, including tuberculosis and Ebola. “We’re hoping to add them one by one,” says Digovich. innovation are places that people would find difficult to pinpoint on map,” says Ellingstad.